The Oil And Natural Gas Corporation Limited, Dehradun, Is Recruiting Eligible People To The Post Of Engineering & Geo Sciences. So Like Always Interested People Can Apply For This Job Through Online Process, Within The Given Time Period. Kindly Do Check Out The Official Advertisement For An Accurate Information And Instructions, Which Is Provided Down Below. A. Number Of Vacancies & Name Of The Post. 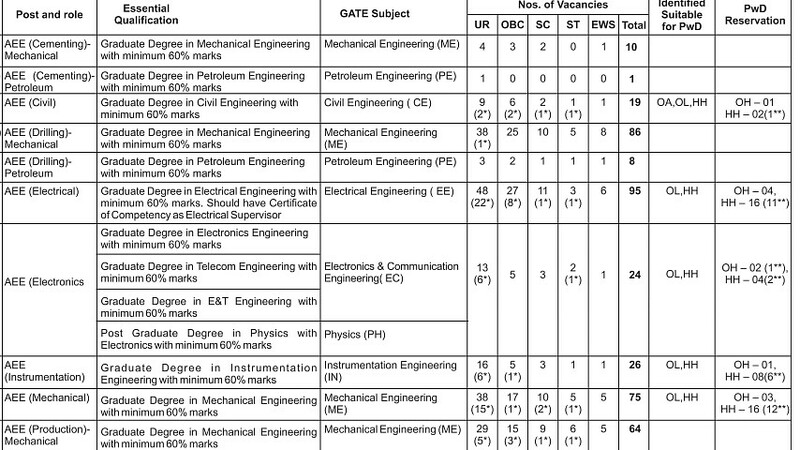 Total Numbe Of Vacancies→785 Vacancies, Kindly Do Go Through The Image's Below For Name Of The Posts, Vacancies Distribution, Gate Subjects, Educational Qualifications & More. B. 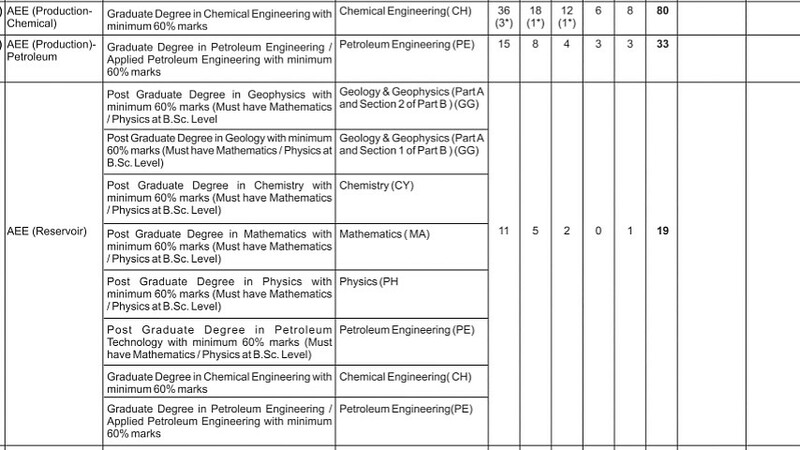 Eligible Criteria For GTs Engineering & Geo Sciences Job Vacancy In ONGC Recruitment Notification 2019. Age Limit →Check Out The Official Advertisement For An Age Limit. Educational Qualifications →Check Out The Images Above. Mode Of Examination/Selection Process →Based On Gate Score & Interview 2019. Online Application/Examination Fee →₹370 For Unreserved Candidates & No Fee For Other Reserved Candidates, Through Demand Draft Payment Mode. Last Date For Online Application Form Submission →25th Of April, 2019. Now Apply For ONGC Recruitment 2019 Apply Online For GTs Engineering And Geo Sciences Job Vacancy.